Pellet grills seem to be all the rage these days. And for good reason. They take the guess work out of grilling. No more rubberized steaks because they're well-done. No more shrieks from your guests because a steak is raw when they cut into it. Just right. These days, it can be difficult to know which grill to buy on the market, simply because there are so many to choose from. It can be hard to know which ones to look at, and which ones to avoid. This is where we come in. We have created a guide for you about the best pellet grills on the market today. The reason we have decided to look at pellet grills is that they are better for the environment, and also offer that authentic wood-smoke taste, rather than the meat covered in charcoal and lighter fluid. 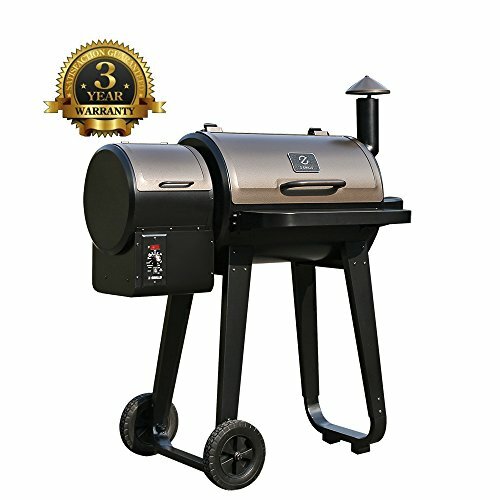 So, which grills are the best? And more importantly, which one should you buy? Check out our product list below. Before we get to the finalized product list below, we wanted to share with you what it was exactly that we looked for in a grill to lead us to these conclusions. The first thing we always look for is ease of use. You want to buy a grill that anyone can master, especially if you do not have much experience. So, we looked for grills with digital inputs that you can simply set the temperature and walk away. These are easy to maintain and also offer a thorough cook. The next thing we looked for is ease of cleaning. You want a pellet grill that is easy to clean, so it is not a hassle every time you are done using it. 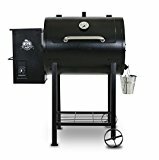 You also want a pellet grill with options to grill, smoke, and barbecue, and that can get really hot or just at a simmering level. You want one that is versatile. Below we have listed, in our opinion, the five best pellet grills on the market today. They vary in features, price, and overall look. We hope that you find one that can suit your needs. 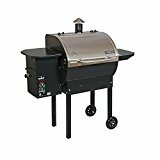 The first pellet grill up for review is the Z-grills Wood Pellet BBQ Grill and Smoker with Digital Temperature Controls, a very popular grill online today. Has a hopper capacity of 20 lbs. We believe the Z-grills Wood Pellet BBQ Grill and Smoker with Digital Temperature Controls is one of the best grills on the market. 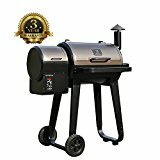 This is a perfect sized grill for any family, and is very durably made. It comes with a cover that is fully rustproof, and is equipped with all-terrain wheels so you can easily move it from one place to the next. From using smoke wood pellets, you get an authentic grilled and smoky taste to whatever you are cooking, as opposed to a charcoal and lighter fluid taste. 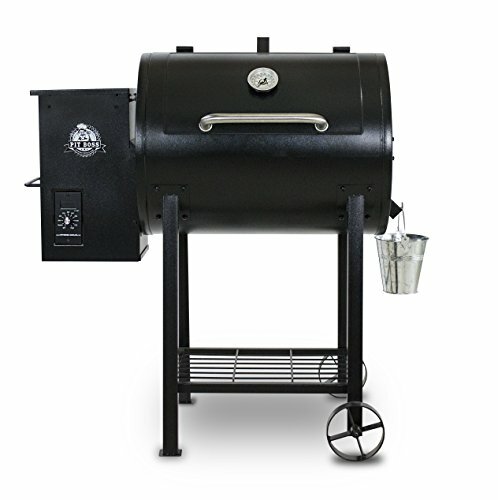 This feels like an authentic smoker that is reasonably priced. This is a user-friendly system and we actually could not find anything wrong with it. The best thing is if you do not enjoy it, you can return it and get a full refund. The second product up for review is the Camp Chef SmokePro DLX Pellet Grill. The Camp Chef SmokePro DLX Pellet Grill comes with a lot of features to enhance your grilling experience and deliver you delicious food. We have included them below. The rack surface area measures 573 square inches. Once set up, the overall weight of the grill is around 140 lbs. We can safely say that the Camp Chef SmokePro DLX Pellet Grill is a fantastic grill to purchase for that authentic smoky taste. This is a high-quality grill that you can easily set the temperature you want on the inside, and it will perform it accurately. The smoking rack is a fantastic addition and the food we have grilled has tasted great. 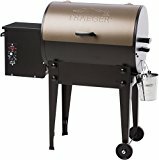 This is an easy grill to use with great features. We did find the ash accumulated a bit much on the inside, and we had to hit it with a hammer to clean it out thoroughly. Other than that, it is a perfect grill at an affordable price. 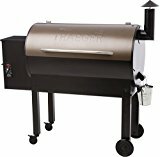 The next best pellet grill up for review is the Traeger TFB65LZBC Texas Elite 34 Series Wood Pellet Grill, one of the most popular grills available online right now. this grill measures 22” by 54” by 49”, and it weighs 150 lbs. 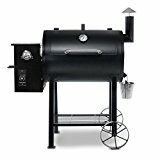 We believe the Traeger TFB65LZBC Texas Elite 34 Series Wood Pellet Grill is another of the best grills on the market right now. We are absolutely in awe of the Digital Elite Controller and the specificity of the temperature you can get. This is a highly accurate system, with a full LED display; you can set the temperature and see on the inside. 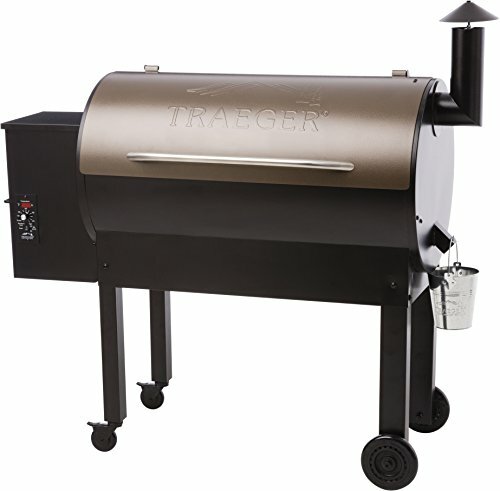 One of the best things about the Traeger TFB65LZBC Texas Elite 34 Series Wood Pellet Grill is that it is so easy to clean. The one turn-off about this grill may be the high price point, but we believe it is totally worth it with the incredible quality you are getting. Measures 41” by 26” by 43”, and weighs around 118 lbs. 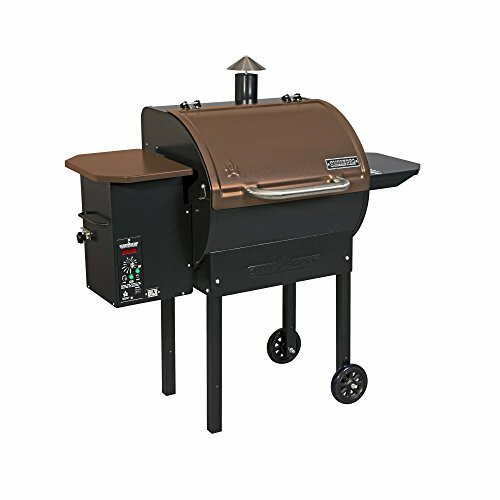 We think the Pit Boss 71700FB Pellet Grill with Flame Broiler is unbelievable, especially at such an affordable price. The thing we love most about this grill is that it feels technologically advanced, and you can digitally set a temperature inside. There is no need for charcoal or propane, so it is very economical to run and much better for the environment. One thing that was annoying is that you cannot set the temperature in increments of 25∂, which would be a lot better for a variety of recipes. 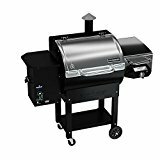 The Pit Boss 71700FB Pellet Grill with Flame Broiler is going to provide you with a great cook and is a very durable product at this affordable price point. The final pellet grill up for review today is the Green Mountain Grills Davy Crockett Pellet Grill. measures 32” by 16” by 21” and weighs just over 57 lbs. We believe the Green Mountain Grills Davy Crockett Pellet Grill is one of the best portable grills on the market right now. This grill is simply fantastic! We found it easy to use, easy to take mobile, and most important, it cooks great. The only con we found is that sometimes the temperature reading was not entirely accurate, and this portion of the device could be updated easily in a future model. 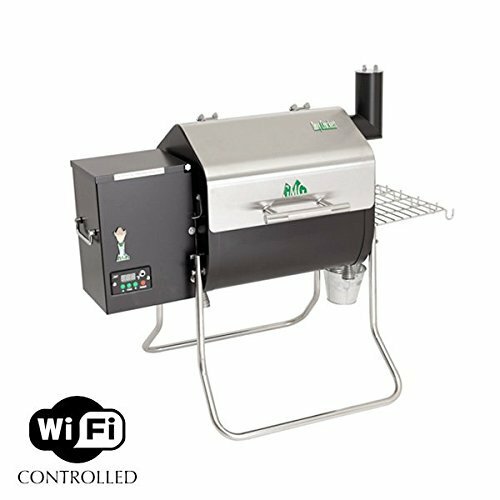 If you are looking to cook on a grill when camping, or looking for something to take to a festival or tailgate party, the Green Mountain Grills Davy Crockett Pellet Grill is definitely one that you want to look at. It is cheap to run and also cheap to buy in the first place. Even if you want to use it in the backyard, it is going to work great. All five products above, though different, offer a way to grill at home and are easy and fantastic to use. We believe that these five products are going to deliver an outstanding performance without breaking down on you. Stay safe this summer while grilling and we wish you all the best as you cook delicious meals!